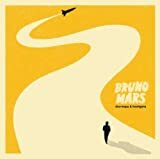 First, we have an new entry by Bruno Mars, the pretty violent display of affection titled Grenade, and second, a new song from last week’s episode of Glee, Forget You. Forget You actually indicates what could be a start of an interesting trend in music where we see a song from a TV show in the iTunes top 10 list every week. I’m going to track this and see if tonight’s episode leads to the same results. I’m not saying anything about Katy Perry being at number 1…. I’m happy to see I’m not the only one who doesn’t get Katy Perry’s appeal.